ALLEGRA BOVERMAN/Staff photo. Gloucester Daily Times. 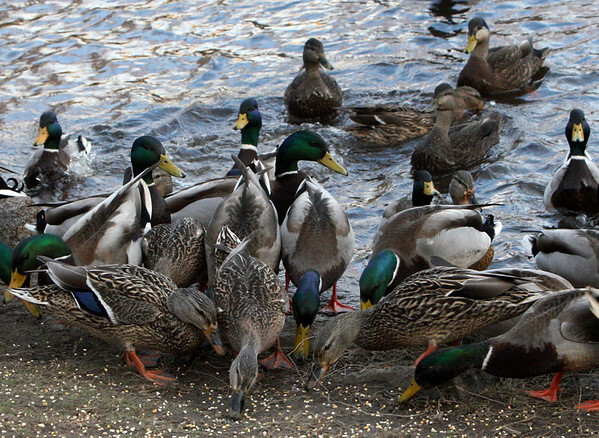 Rockport: Lots of mallard ducks swim around and eat some of the cracked corn left by two neighbors on Wednesday afternoon at Mill Pond Park.